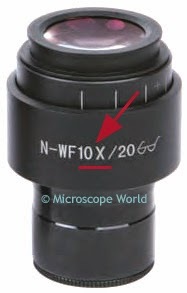 Often the magnification of the microscope eyepiece will follow the letters "WF", depicting a Widefield eyepiece. 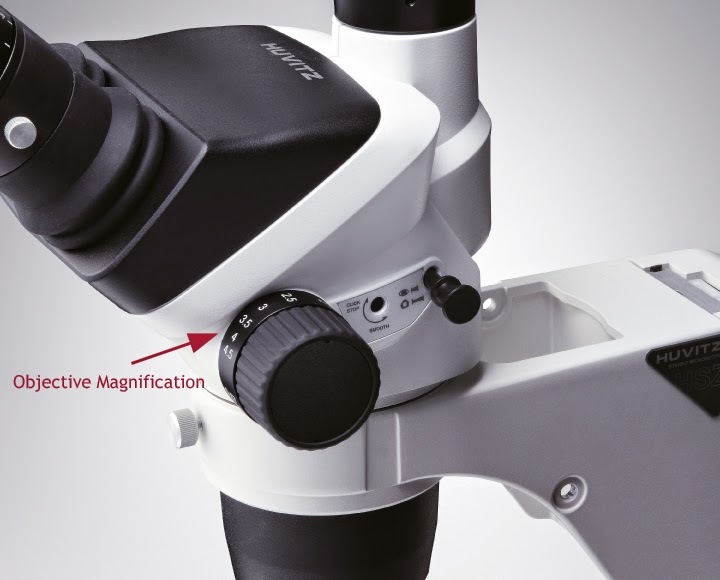 The adjustment for the zoom objective lens value is found on the side of the microscope and the corresponding objective number is printed on the knob. On a basic stereo microscope setup, to determine total magnification simply look at the magnification on the eyepiece and on the zoom knob. 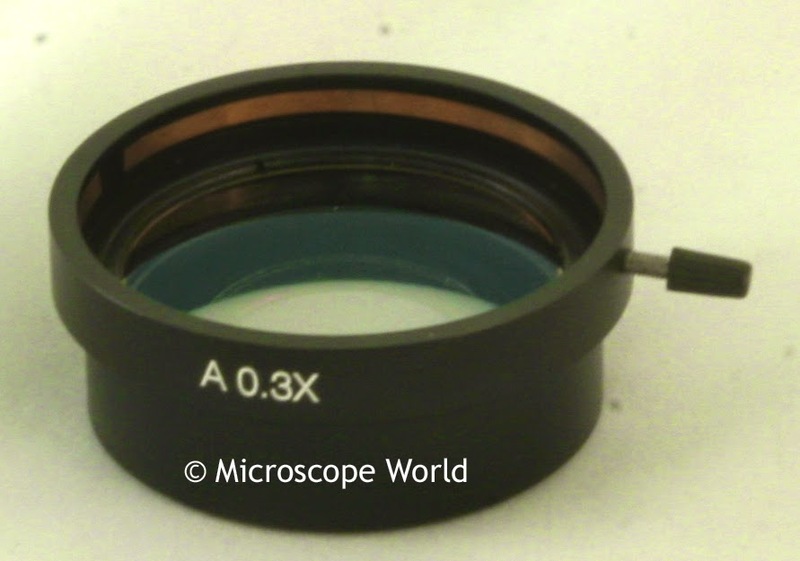 Stereo microscope auxiliary lenses are only usually used when the working distance needs to be adjusted or in some cases if magnification is being pushed quite high. 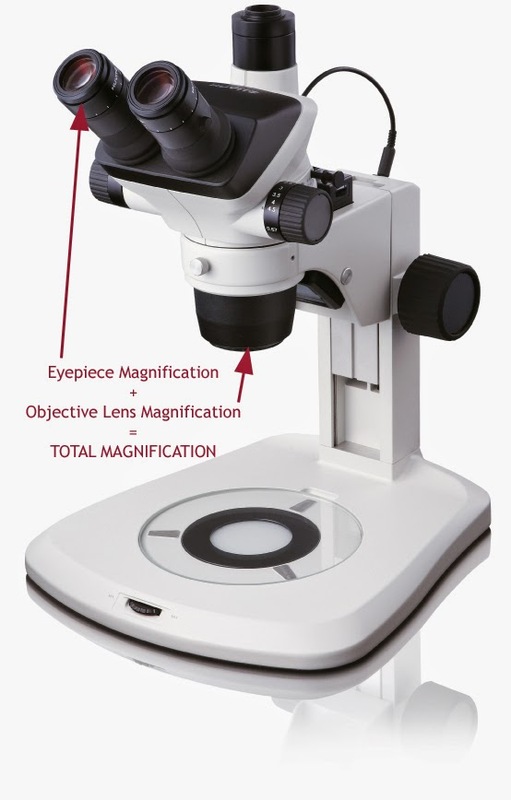 For questions about stereo microscope magnification contact Microscope World.